How great are His signs, how might His wonders! His Kingdom is an eternal kingdom; His dominion endures from generation to generation. 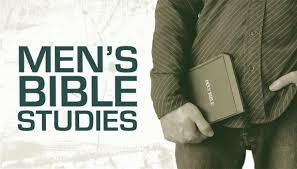 As men of God, we face challenges to our faith on a daily basis. Our culture encourages us to seek wealth, fame, and power above all things, regardless of the cost. But we are called to something greater than the idols of culture. We are called to follow Jesus Christ, our one, true King. Like Daniel and his friends, who did not bow down to the Babylonian king’s image, we believe that our God is the one who is worthy of praise. Also, like Daniel, we believe that remaining strong in our faith is more likely and more meaningful when we do it together. Through spiritual growth opportunities, community service, and fellowship, the Daniel Ministry seeks to help the men of Meadowbrook become better husbands, fathers, friends, and most importantly, Christ-followers. There is currently a need for volunteers to conduct regular devotionals at Goodwill in Ridgeland. For more information, contact Beau Cox.